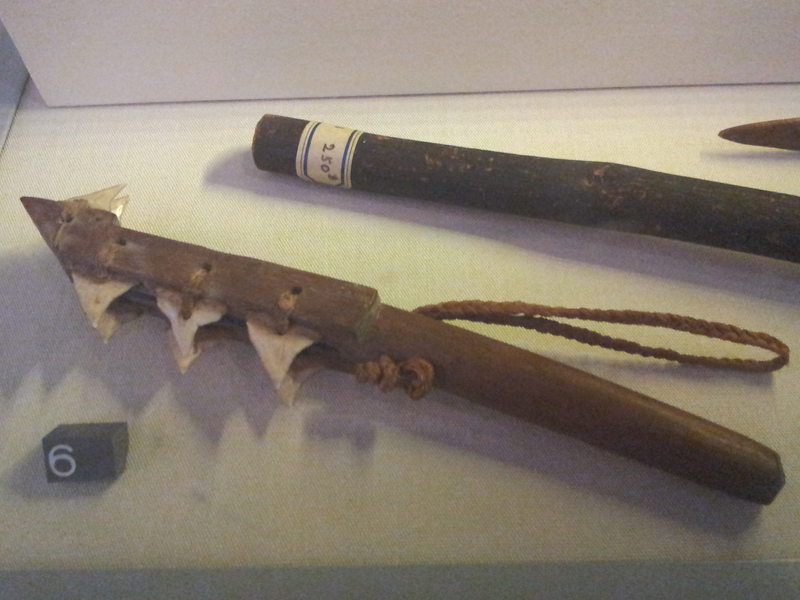 Shark Tooth Skin Cutter from Kirbati (formerly Gilbert Islands c1860) for creating scarification and tattoos. The item forms part of our Micronesia and Polynesia tattooing archive and is from our Swayne Collection. The cutter is a rare example of a tool used to modify skin by the scarification process. Sharks teeth are particularly well suited to the task as they have multiple serrated edges and leave permanent adornment scars. Such scarification is now uncommon in Kiribati despite the Islands tattooing ancestry. Only limited body tattoos are not now done on the island. It was different a century ago and the following article was compiled in the 1930s indicated widespread tattooing in many regions of Kiribati at the time. The name Kiribati was adopted at independence in 1979 from the UK. It forms part of the Gilbert Islands whose name derives from the British explorer Thomas Gilbert who encountered the islands in 1788 when mapping the Outer Passage route from Port Jackson to Canton.